GM unveiled the 2013 Sonic RS with a lower and stiffer suspension, 4-wheel disc brakes and chrome tips. Also included are 17 inch wheels and a new front facia for a tough-looking interior. Additionally, the Sonic RS features a 138-horsepower (103 kW) Ecotec 1.4L turbo engine — the only vehicle in its segment to offer a turbocharged powertrain. The Sonic RS has a great look and should add more sales to the Chevy brand. 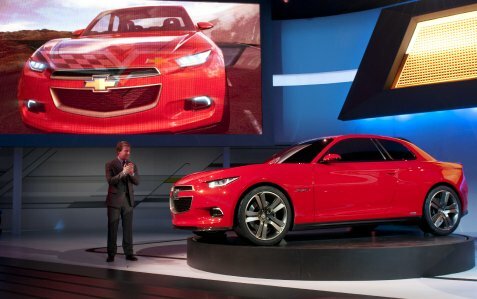 We’re very impressed in the way Chevy is targeting a younger audience with cutting edge designs at competitive prices. It will be released to the public in summer-fall 2012.